Blood pressure drugs like Benicar (olmesartan) are a $7 Billion-a-year industry for the pharmaceutical giants who heavily market their products to doctors and the general public as safe and effective. Yet of the more than 200 blood pressure medications on pharmacist’s shelves, only Benicar has been linked to severe intestinal disorders. Using Benicar can cause chronic, severe diarrhea and complications requiring victims to be hospitalized. Benicar lawsuits are currently being filed against drug-maker Daiichi Sankyo for unleashing a dangerous drug on the market and failing to warn the public about the dangerous side effects and complications Benicar may cause. If you have taken Benicar and experienced any of the adverse effects described below, you may be entitled to compensation for your medical costs, lost wages, pain and suffering, and other legal damages. As more people come forward who have been injured from Benicar side effects, the possibility of mass Benicar settlements increases. To learn more about your legal rights, contact Magaña, Cathcart & McCarthy for a no-cost, no-obligation consultation with an attorney experienced in dangerous drug litigation. Benicar belongs to a class of antihypertensive drugs known as angiotensin receptor blockers (ARBs). Like other ARBs, Benicar blocks or inhibits the action of Angiotensin II, a hormone which causes blood vessels to contract or constrict. The effect of blocking the angiotensin receptor is to dilate the blood vessels or open them wider, allowing blood to flow more easily and thereby lowering blood pressure. Unfortunately, serious complications have been reported by Benicar users. While there are many ARBs currently on the market, only Benicar/olmesartan has been linked to a rare condition known as sprue-like enteropathy. Sprue is more commonly known as Celiac disease, and an enteropathy is any disease or pathology of the intestines. A sprue-like enteropathy, then, is an intestinal disease with symptoms that mimic the health problems associated with Celiac disease. Both conditions cause Villous Atrophy, which is a wearing away or truncating of the intestinal villi. These tiny, hairlike projections line the intestines and are essential for helping the body absorb nutrients. Without these villi, the intestinal lining becomes smooth, losing its texture and therefore its ability to absorb nutrients. If untreated, Villous Atrophy can cause a person to die from malnourishment, literally starving from the inside out. Celiac sufferers can obtain relief from their symptoms by adopting a gluten-free diet, which is becoming easier every day thanks to awareness in the food industry and the general public about gluten sensitivity. Unfortunately for those with sprue-like enteropathy associated with Benicar use, this condition does not respond to a gluten-free diet. Since the symptoms of sprue-like enteropathy mimic Celiac disease, the condition may be misdiagnosed by a doctor, and precious time can be lost for the patient who is put on a gluten-free diet and continues to suffer while waiting for improvements in the condition which never come. Patients suffering from sprue-like enteropathy can notice improvement in their condition after they stop using Benicar. If you have experienced symptoms such as severe chronic diarrhea or substantial weight loss requiring hospitalization, make sure the doctors treating you are aware that you are taking Benicar and of the association between Benicar and sprue-like enteropathy. Even if starting a gluten-free diet to treat possible Celiac disease, it may be wise to discontinue use of Benicar and switch to another antihypertensive drug to treat your high blood pressure. As with any medication prescribed by a doctor, you should not stop taking Benicar on your own but should instead bring your concerns to the doctor who prescribed the medication or another physician whom you trust. The makers of Benicar – Daiichi Sankyo – may be liable for the damages caused if their product is shown to be dangerously defective. In the field of dangerous drug litigation, a medication may be considered defective if it is unreasonably unsafe, if proper safety testing was not conducted, if important information about drug safety was hidden from doctors, patients, or safety regulators such as the FDA, or if the drug maker failed to properly warn about the potential dangers, side effects and complications the drug could cause. Although no Benicar recalls have yet been issued, the FDA has required a boxed warning regarding fetal toxicity and the use of Benicar during pregnancy. Dangerous drug litigation is challenging and complex, and drug companies have virtually unlimited resources to funnel into litigation to defend their reputation and keep their most highly profitable medicines on the market for as long as possible. Although going up against the pharmaceutical giants can be difficult, the attorneys at Magaña, Cathcart & McCarthy have the skills, abilities and tenacity to stand up to these goliaths and make them pay for the harm they have inflicted. For over sixty years, our firm has helped people across the country injured due to dangerous drugs and other defective products, as well as the most complex personal injury and wrongful death litigation in areas ranging from medical malpractice to railroad and aviation accidents. 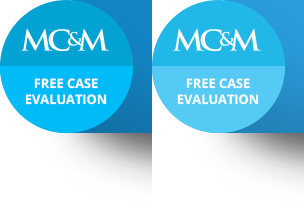 Contact Magaña, Cathcart & McCarthy for a no-cost consultation with an experienced and successful dangerous drug litigation attorney.